Every soul comes to Earth with the innate power to fulfill its unique purpose in the human journey. While always present, this great capacity and fount of life energy often becomes covered by conditioning and experience. Join us as we connect with the deep roots of this power and the activity of faith as a living element in its manifestation. 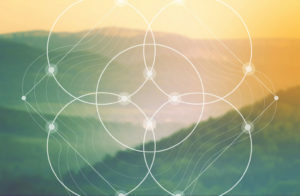 Together, we will reunite with aspects of our essential soul potential, embodying this connection through direct, awakened presence and experiential practices. No previous experience necessary, only an open heart and a willingness to be enlivened.